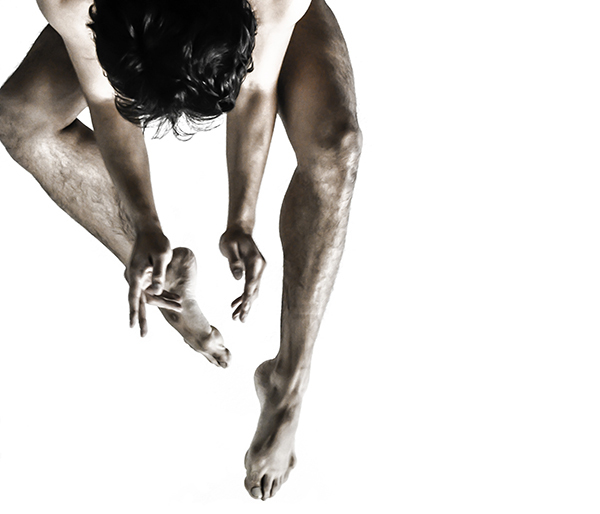 This article is part of a series on contemporary dance and its extended implications. 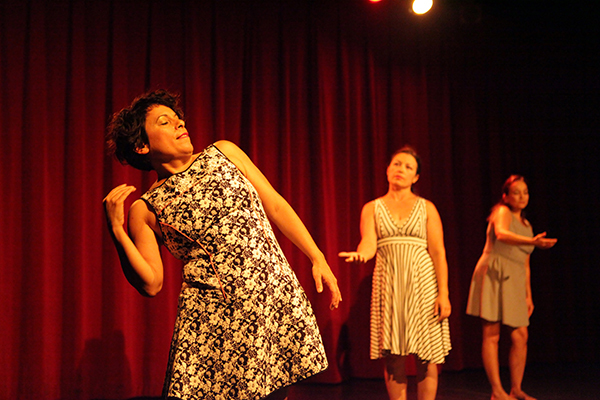 Liz Durán Boubion is a Bay Area dancer/choreographer, artistic director of the Piñata Dance Collective, and a second generation Mexican American. 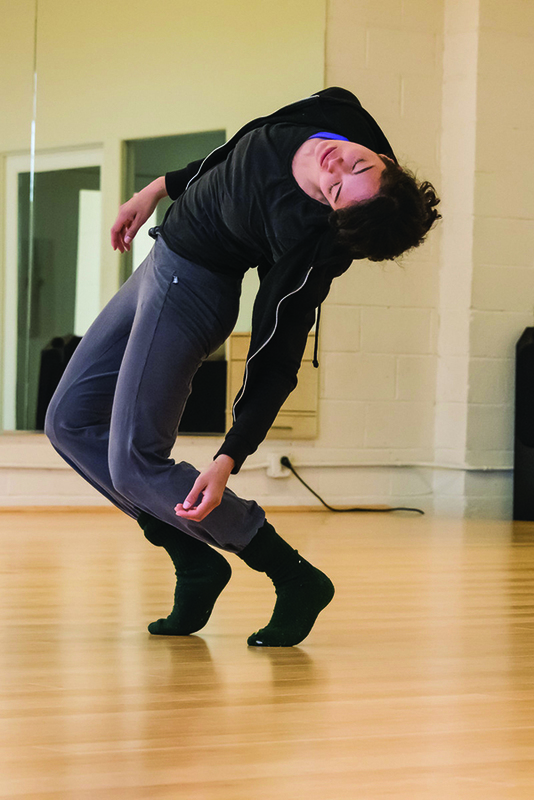 A few years ago, she went to Mexico for an artistic residency, and there met a handful of contemporary dance artists wanting to present work in the U.S. 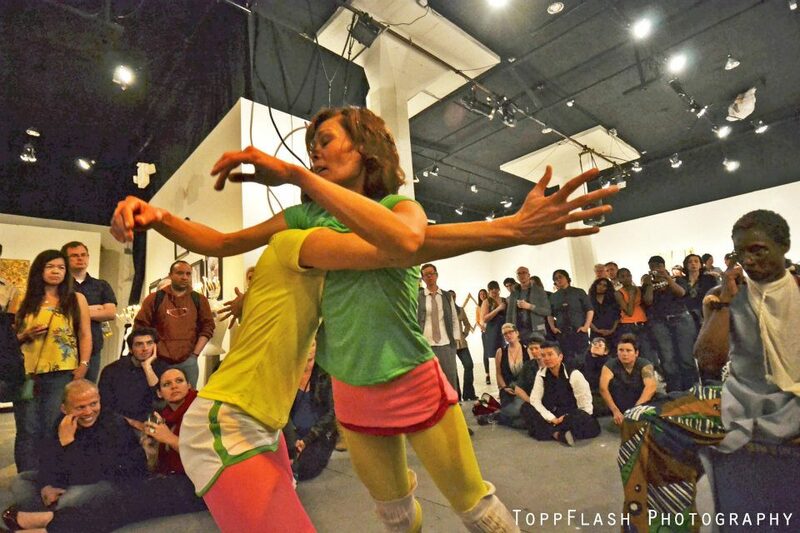 This sparked the Festival of Latin American Contemporary Choreographers (¡FLACC!). Now in its third year, ¡FLACC! will be presenting 16 dance artists in its upcoming season December 9-11, with one company coming from as far away as Guatemala. This year’s artists include Momentum Dance from Guatemala, Dancing Earth’s bi-local company directed by Rulan Tangen in New Mexico and San Francisco, Primera Generación Dance from Los Angeles, as well as 12 choreographers from the San Francisco Bay Area including Detour Dance, Victor Talledos, Sebastian Hernandez, Javier Stell-Frésquez, Davalos Dance Company, Diana Lara, Karla Quintero, Juliana Mendonca, Gabriel Mata, Zoё Klein, Adrian Arias and Cuicacalli Dance Company. I posed to several of the artists this question: What is the value of contemporary dance to the Latin American community? I have migrated multiple times since I left Honduras in the 1980s, the country where I was born. I started my performance and choreography career in Honduras and I developed it further in Mexico where I lived for 25 years. While I was in Mexico, my creative work was informed by a process of recognition of myself as a woman separated from my family, and my need to integrate into a new society. In my artistic career, I have felt embraced and inspired by many other artists in the U.S. who have paved the way for identity and migration inquiry. The piece I will present at ¡FLACC! is “Where, Dónde? Living or Witnessing Life,” a somatic exploration of membranes around the lungs and the heart, in order to grieve the loss of my mother who died in Honduras while I was in the U.S. In the process of creation, and influenced by the assassination of the Honduran indigenous leader Berta Cáceres, it became a universal exploration of witnessing and grieving hostilities from faraway. My contemporary performance practice empowers me to investigate the multiplicity of my identity as a Queer first-generation Cuban-American artist, and allows me to situate myself in a larger context. As part of an ongoing research process, I have invited my mother, father and three brothers to choreograph short solos on me, with me, for me. The work is called “Us and Ours,” and provides a glimpse into where and who I come from. The world we live in seems to be going through some really unbelievable shifts. As a contemporary dance choreographer, I find it easier to express my feelings and opinions about what’s currently happening around us. I am not just here to entertain; I am here to express the voice of our people, of our communities. I am here to yell until we are heard. I am here to show support as well as to educate and inform the younger generations. Dance in general has a great value in education and society. I believe it helps to create better individuals and better citizens by teaching discipline and hard work. It gives useful tools applicable to any field, to life in general. As for Latin communities, most if not all have a lot of taboos about dance, and I believe it’s time we break those barriers. More than a place to showcase our work, ¡FLACC! is a place to get together and unite, especially now that we are targeted and our safety is at risk. I am a first-generation American of Colombian and Nicaraguan descent. My artistic output references the imaginative spirit and passion for story-telling particular to these two cultures. The practice and study of contemporary dance has offered me ways of seeing the world that were less accessible in my upbringing. Abstraction and a deep anatomical awareness, for example, are things that I’ve been exposed to specifically through the culture of contemporary dance. I find great value in sharing this embodied knowledge in small ways with my parents. Last time I visited, I was able to get my mom to feel secure on her “standing leg.” I also gave my massage ball to my dad and showed him how to massage the muscles on the bottom of his foot. I don’t doubt that each culture has access to this knowledge of the body and the mind. In this case, however, contemporary dance perhaps provides a more straightforward path to unearthing and employing it. Because my work has a political and social message, the modern use of the body is important to me because I’m trying to connect with my audience in a way that is relevant and accessible. There is often a stereotype that the Latino dancer is trained in traditional movement, but that is not my case; I’m only trained in Western forms. Contemporary dance allows me to be as transparent with my audience as possible by using movement vocabulary that is embodied. The work I’m presenting, “Cruising,” is an excerpt of a longer evening-length work I’m in the process of creating, “Son,” which is an examination of the patriarchy in my Mexican culture. The thematic material I’m using is the low-rider. The two men in the piece demonstrate machismo that then moves toward feminine vocabulary. In this current political climate, contemporary dance is a place for me to express my concerns about where our country is headed. I feel called to make work about my identity as a Chicana through movement and voice. 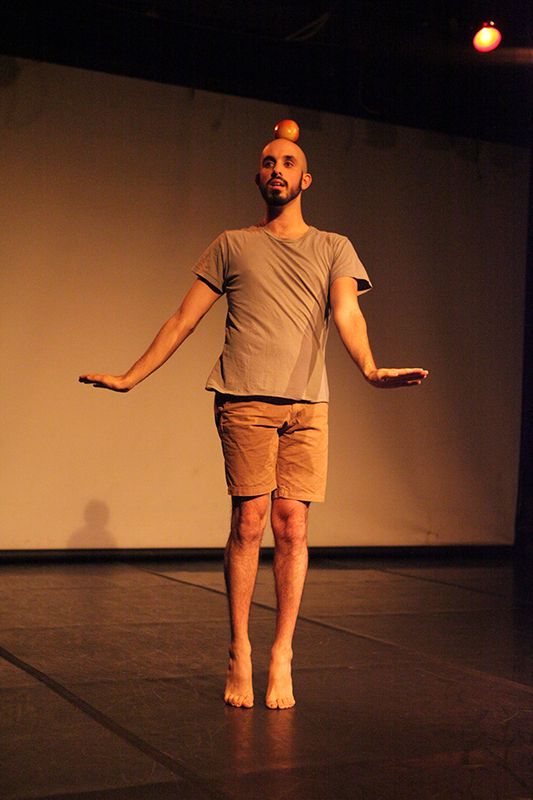 The value of contemporary dance in Latin American communities, or in any community, is subjectively assessed, and varies across borders, economic classes and cultures within the diaspora. ¡FLACC! is in the process of finding out what that value is by creating a platform for Latinx and Native voices in San Francisco. As artists, it is easy to say this has tremendous value for us personally, because it affirms that a huge part of our identity (Latinx) has value within the dominant culture of contemporary dance, which has historically given limited access to our people. Ballet, modern dance, aerial dance, and “high art” performance in general is expensive and requires compromise and sacrifice for the working class, or undocumented, to train and/or attend shows. For Latinos who are educated, privileged and do have access, I would say tradition, and in this case traditional dance, is one of the highest values as a way to preserve our culture, which presents a bit of a challenge for ¡FLACC!. Contemporary dance threatens to erase that tradition based on the western roots of our movement languages as well as the overtly queer, feminist or indigenous voices we support. However, ¡FLACC! is a space for the mestizaje de danza, where the multi-lingual dancer emerges. We are versed in different dance styles and can bring our culturally-mixed bodies (and voices) to the stage. As the Festival of Latin American Contemporary Choreographers forms this new tradition, FLACCistas get to make innovative choices about the amount of translating they do for their artistry and for their audiences. Like the breaking of a Piñata, ¡FLACC! breaks stereotypical portrayals of Latinos for white audiences, and it breaks the tradition of hetero-normative dances that assign patriarchal gender roles. It also breaks open the recognizable or familiar, and allows for individuality, a tilted axis of perception, and the naked truth of our lived experience to pour out. To learn more, visit flaccdanza.org.